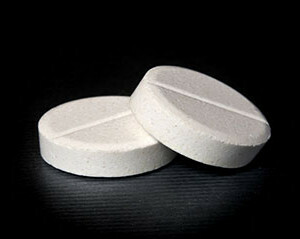 Studies have shown an aspirin a day helps keep the heart doctor away. How about an aspirin every other day to help keep the cancer doctor away, too? A brand new study suggests one low-dose aspirin every other day may protect healthy women from colon cancer. The researchers used data from nearly 40-thousand women over the age of 45 who were part of a large, national Women’s Health Study conducted from 1994 to 2004. The women were randomly assigned to take either 100 milligrams of aspirin or a placebo every other day for the full 10 years. They were also asked to fill out questionnaires about their adherence, adverse effects, risk factors and health. After the trial ended, researchers continued to follow more than 33-thousand of the participants through 2012, although they no longer provided them with aspirin or placebo. The results? The incidence of colorectal cancer was 20% lower in the aspirin group than in the placebo group. Women who continued taking aspirin on their own after the trial ended had the greatest reduction in risk. Along with the benefit, the researchers identified an associated side effectâ€¦ an increased risk for gastrointestinal bleeding. As always talk to your doctor about what is right medically for you. I’m Dr. Cindy Haines of HealthDay TV with information that can help keep your family healthy.